The chemical company, which became part of the U.S. Kemin Industries Group in January, is embarking on a three-part “journey towards sustainability” by integrating eco-friendly innovations with strategic business actions. Here’s a look at how Garmon is cleaning up the business of chemicals and, in the process, making jeans more sustainable. 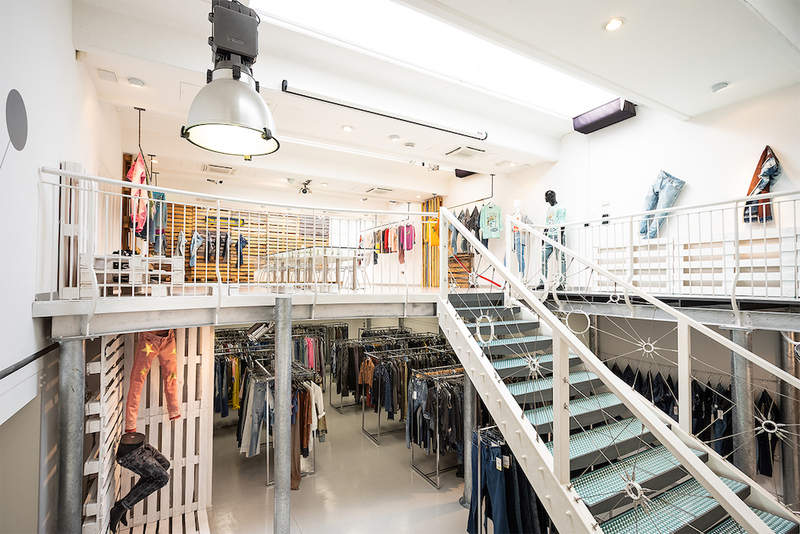 Garmon is helping denim brands adopt best practices for sustainable manufacturing. In June, the company teamed up with the Alliance for Responsible Denim to host “doctor visits” with six denim brands. Each brand brought the finishing recipes of their core styles to the workshops, where Garmon offered sustainable recommendations and alternatives. The goal was to show the brands new possibilities to adopt more responsible finishing and highlight how eco-friendly innovations can improve the overall quality of their products. Garmon is also rolling out “Stretch Care,” a product line of innovations designed to enhance the qualities and performance of stretch denim fabrics. The special formulations developed for this line are especially suited for treatments with a high eco-compatibility rate, Garmon said. The Geopower NPS, a compound which helps eliminate the pumice stone from denim washings, reduces environmental costs and impacts. And Avol Oxy White, a bleaching agent, is designed to achieve localized effects on denim. “Thanks to its composition it is an ecologically advanced product whose environmental impact has been reduced to a minimum, a real challenge to the use of potassium permanganate which tends to be pervasively used as part of industrial processes,” the company noted. The company recently received two important certifications for compliance with the ISO international standards that underscore its commitment to environmental management. Garmon received the ISO 9001:2015, a certification which sets international criteria for quality management systems, and most notably, to ISO 14001:2015, a standard acknowledged worldwide stipulating all requirements for an environmental management system. This certification, Garmon said, helps organizations improve their environmental management performance levels through a more efficient use of resources as well as by reducing production waste. The certification assesses air pollution, managing water resources and discharge, waste management, soil contamination, mitigation and adjustment to climate change, as well as an efficient use of resources.